ICCO Cooperation is a global, non-governmental organization. ICCO gives people the opportunity to link up to viable and sustainable agribusiness value chains, acquire income and produce sufficient and quality food for a balanced diet. 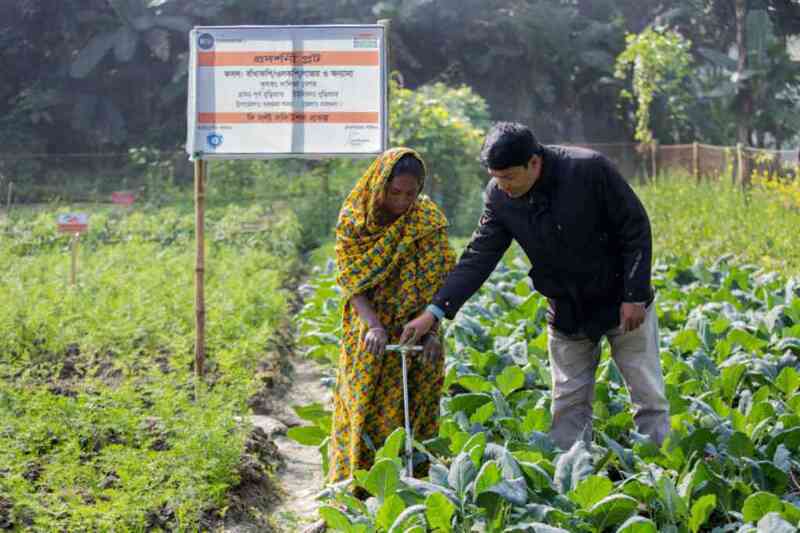 In Bangladesh, ICCO and Salt Farm Texel work on The Salt Solution: we train 5,000 farmers in the coastal areas of Bangladesh to start growing salt-tolerant crops. The Salt Solution project is funded by the National Postcode Lottery, Netherlands. ICCO Cooperation Bangladesh is lead partner, Salt Farm Texel is technical implementer and CODEC is implementing. Direct beneficiaries are 5000 smallholder farmers and indirect beneficiaries are 25,000 smallholder farmers. Climate change is a global challenge that will have a major impact on the North Sea Region, affecting coastal areas in a variety of ways. The SalFar project focuses on the degradation of farmland due to salinization. The main driver for increased salinization in the North Sea Region is the continuous rise in sea level. Sea level rise leads to increased seepage of seawater, a higher risk of flooding, pushes seawater further inland and in time will lead to ever-increasing salinization of farmland in the North Sea Region as well as in other parts of the world. Without adequate countermeasures, this will lead to loss of food production capability and severe damage to coastal economies. 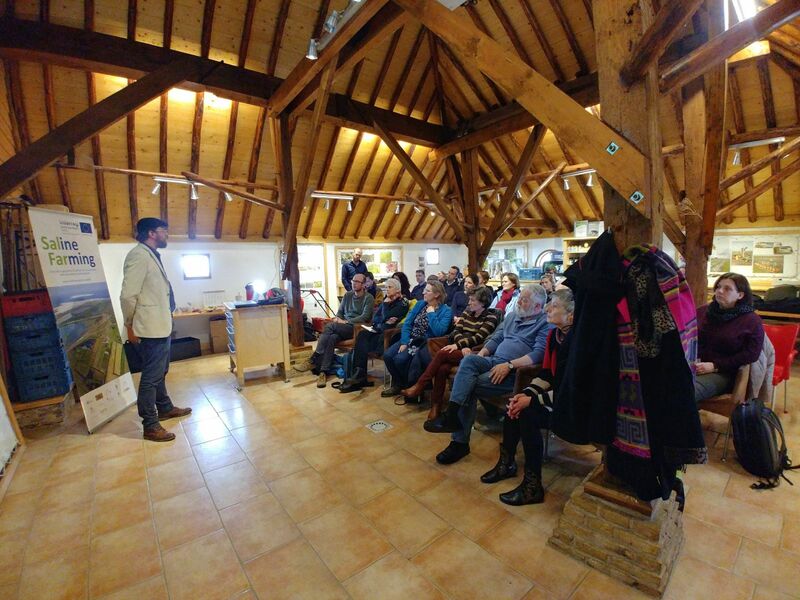 Picture: Bas Brunning, from Salt Farm Foundation giving a presentation on the topic "Do's and Don't of Saline agriculture" to the SalFar partners. Through close collaboration with a multidisciplinary partnership consisting of climate experts, researchers, educators, farmers, entrepreneurs and policymakers, the SalFar project aims to contribute to the mitigation of the effects of salinization. SalFar will accomplish this by setting up open field labs around the North Sea, doing scientific research on the salt tolerance of various crops, demonstrating alternative methods of farming under saline conditions and creating new business opportunities for farmers, food producers, and entrepreneurs. 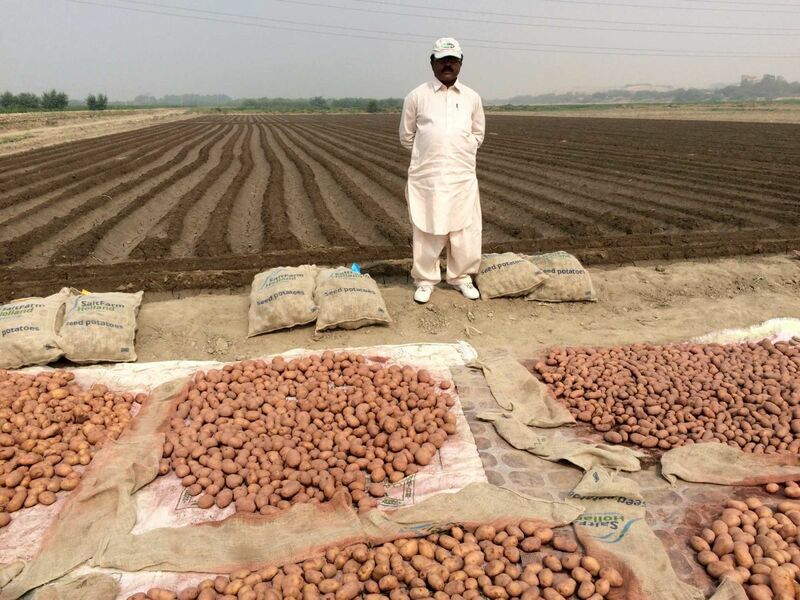 The salt-tolerant potato, discovered by Salt Farm Texel, was tested in Pakistan between 2014-2017. In this project, we worked together with Jaffer Agro Service en MetaMeta. The project was partly funded by USAID, Swedish International Development Cooperation Agency and the Dutch Ministry of Foreign Affairs.